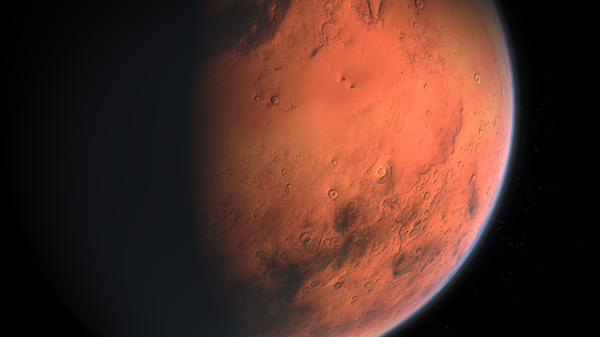 Humanity will eventually move to Mars, the perfect destination for people who can survive without water or oxygen or life. The Earth will be abandoned not because of climate change or the zombies, who are simply pursuing their true calling. No, it will be because no one can handle any more Home Depot advertisements or Jared Polis, whose face will be everywhere. Go to get the tortilla chips and BAM! Jared Polis is there—smiling, confident, ready for your vote. Walker Stapleton will be around too, governing somewhere hot and desolate, though that place will have lower taxes. The first colonization team will be remarkably unprepared, bringing only food, supplies, and engineers. Work will be a top priority. No fun, no humor, only Leonard, a man best described as a clumsy duck who pulls on white socks and sandals with aplomb. But with no one there to laugh, his potential goes unrecognized, lost in a wasteland of engineer puns so bad even your neighbor Bill would shiver. Humankind will discover that the liberal arts are integral to society, giving it color and painting and writing and art history and treatises on knowledge and death and the best use of sporks. How do sporks truly fit into the spoon-fork-knife matrix? Are the tongs any use for say a grape or a chicken tender? Would the framework of the universe rupture if you added a knife? Does God—or the possible conception of a God—use a spork? These are the questions that need answers. To fill the art gap, Joanna, an engineer from Sector 7g, will attempt some crude cave paintings on a white board next to the plans for a generator. Their artistic merit will go unrecognized by everyone, who will mistake the tree for a rocket ship and the waterfall for a metaphor on quantum mechanics. Thus, in response to the advancing yet utterly dull society on Mars, Earth will send a shipload of artists. Upon arrival, they will attempt to educate the early colonists on why the color red symbolizes frustration and the passage of time and hunger—because the whole planet is red and everyone is starving. In response, the engineers will teach the artists not to eat the red dust. Being countercultural and wishing to make a statement, some creative types will eat the dust and die, and everyone will agree this was for the best. Aliens will be found and lost and found again until everyone realizes the “alien” is a plastic bag left by an early Mars Rover. The bag will be from Home Depot and, in a strange twist of fate, will be eaten by an actual alien and lead to the destruction of humanity many years later. It’s like the butterfly effect, but with fewer butterflies and more humans chased by massive three-headed monster-things—and lots of incinerating lasers and screaming. The two camps will split: one full of the rigorous machinations of people who make office buildings and zoning laws and instruction manuals for watches, the other a commune with aphid-infested tomatoes, scattered art supplies, and continual drum circles. Both will have merit but will also lack something, like Cheetos without flavoring or a dog without hair. War will break out. A painter named Augustus will comment on an engineer’s hair, saying he could do a better job with a blowtorch and a hedge trimmer. Lucas, the engineer, will respond that Augustus and his paintings are full of crap and that half of his eccentricities are for show, like wearing a trash bag instead of pants and eating macaroni and cheese without the cheese. “Because it tastes different,” Augustus responds, hitching up his ultra-strong Hefty pants and swishing away. With such things as this, wars begin. Society will end—a paintbrush in the eye here, a bomb there. Really, all the aliens needed to do was pick off the stragglers, who eventually patched over their differences and started a city called New New York. New New York was a nice place to be, as long as it lasted, a nice cross-section of humanity all trying to use the one cab on Mars to get where they needed to be. But in the end, it was probably better it was destroyed too.